Thanks for hosting. I know that hectic time when so much has to be done and the time just doesn't seem to stretch enough. ps the character verification is tough, so far I have tried three times, hope the next one works. Thanks so much for featuring me! I love your Thrifty Schwinn find, yer hubby did good! I picked up two vintage bicycles a while back. A vintage Schwinn Hollywood, and a Japanese commuter biycle ("Audrey"). Unfortunately, I just don't have time to work on the Schwinn Hollywood, sigh...I love Schwinn, they're classics for a reason! Great bike-that is the most amazing green. Thanks for hosting your fab link party. Good husband! Looks like a fun find. 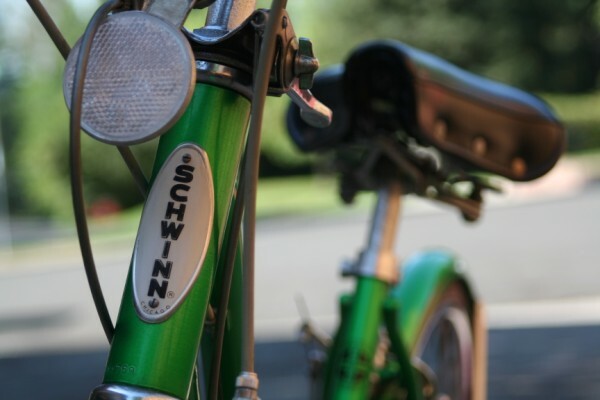 Ooooh, that green Schwinn looks like a great ride. Is it a three-speed? Thanks for hosting! This is my 1st time participating.